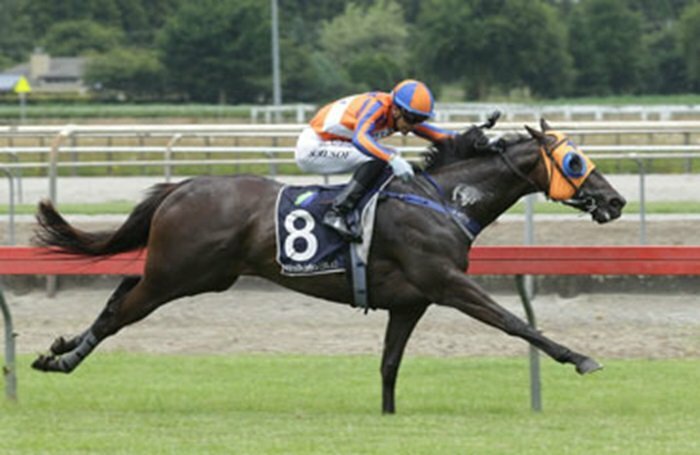 Burgundy’s impressive 5.5 length debut winner Burgundy Belle confirmed estimations of quality today with a game win in the Ancroft Stud 1200 Rating 65 at Matamata. Prepared by Jamie Richards, Burgundy Belle jumped from barrier one as the $2.30 pre-race favourite and after hugging the rails throughout justified her support, powering through a gap under Shafiq Rusof to register win two at start two for owners Fortuna Burgundy Belle Syndicate (Managed by John Galvin). “We might try to get Burgundy Belle ready for the Gr.3 Mongolian Khan Trophy (1200m) on Karaka Million night, which Fortuna won last year with Melody Belle,” said Richards. Down the line, Burgundy Belle holds a nomination for Gr.1 Al Basti Equiworld Dubai New Zealand Oaks (2400m) at Trentham in March. Bred by Tom and Sue Roper, Burgundy Belle is out of the Gr.2 Eight Carat Classic winning and Gr.1 NZ Thoroughbred Breeders’ Stakes-placed racemare, Spin ‘N Grin (Spinning World).